Cod. : F667217D. Nissan Note 1.4 88cv 2006. INFO RESTITUZIONI. Nissan Note 1.5 63kw 86cv K9K 2010. Bocchetta Aria Centrale Destra. INFO RESTITUZIONI. VENTILADOR HABITACULO NISSAN NOTE 2006 - OE: 272269U01A / 27226AX105 - NUEVO!! 272269U01A - 27226AX105 - 27226AX205 - 27226BC00A -. VENTILADOR HABITACULO NISSAN NOTE (Año 2006-) - Artículo nuevo. BEHR: 8EW351149681. AVA COOLING: DN8393. Nissan Note 1.5 63kw 86cv K9K 2010. INFO RESTITUZIONI. Engine Components. We will always attempt to rectify the issue as fast as possible! We just want you and your car to be happy! NISSAN 272269U01A. NISSAN 27226AX105. You'll have the part ASAP. Eg, Vetech, Erst Klassig, Franzen, NK, etc. The heater blower motor will fit from 2006-2007-2008-2009-2010-2011-2012, also the motor is in full prefect working order, condition and without any problems, it is just the heater blower motor and it is a genuine nissan part, also it has been checked before it was removed from the car. Nissan Note. 5 Speed Manual. Engine No Plastics and Carpets we always advise cleaning/valeting before fitting. PCS Part ID. PCS Part ID Part Notes Your warranty only covers the cost of the part itself and not any labour costs incurred in fitting / removing the part.more. A/C Condenser. Anti Roll Bar link. NEW TOP QUALITY HEATER BLOWER RESISTOR. Lower Ball. Trailing Arm Bushes. AB31to>38, AB42to>56, BT>ALL, FK17to>22, G83, GY>ALL, HS1>9, IM>ALL, IV>ALL, JE>ALL, KA27to>28, KW>ALL, PA>ALL, PH5to>50, TR21to>25, ZE>ALL. 2017 Nissan Note Tekna 1.5 E12 Box riscaldatore - Air Con Heater Matrix Blower Motor. Trim Tekna. Nissan Note. Note Part Make Nissan. Model Note. Codice di colore Tipo di carburante. Our used parts are tested by us and any oversight is accidental. FROM A NISSAN NOTE (2008 - 2013) MK 1 FACELIFT 1.4 16v 88BHP Acenta. ALL THESE PARTS ARE REMOVED FROM A RIGHT HAND DRIVE CAR. (ENGINE - CR14DE). Nissan Micra: 2002>2013. Nissan Note: 2002>2013. 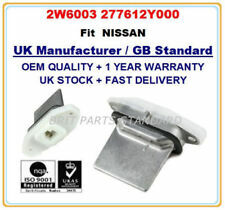 Genuine Part for Nissans. NISSAN NOTE (E11, NE11) 1.4 MPV Petrol 03/2006 06/2012 FWD 16 88 65. NISSAN NOTE (E11, NE11) 1.5 dCi MPV Diesel 09/2010 06/2012 FWD 8 90 66. NISSAN NOTE (E11, NE11) 1.5 dCi MPV Diesel 03/2006 06/2012 FWD 8 68 50. Opening Hours. 100% Responsive. Genuine & Quality Parts. Nissan Note 1.5 63kw 86cv K9K 2010. Bocchetta Aria Esterna Laterale Destra Lato Passeggero. INFO RESTITUZIONI. NISSAN NOTE E12 2012 1.2. HEATER BLOWER MOTOR. PARCELS MUST BE INSPECTED BEFORE YOU SIGN FOR IT. ALSO OFFSHORE ISLES: SHETLAND ISLES, ISLE OF MAN, WESTERN ISLES, SCILLY ISLES, CHANNEL ISLES OR ANOTHER NOT ATTACHED TO MAINLAND UK. PART NO F667296L. REMOVED FROM NISSAN NOTE 2008. MOST OF THE PARTS ARE AVAILABLE FOR THIS VEHICLE. MAY HAVE STORAGE MARKS. NISSAN PRIMASTAR 2001-2014. 2 Front Steel Lower Suspension Wishbone Arms Left & Right. You are purchasing 1 Left & 1 Right hand side steel front lower wishbone arms . 2 Front Anti Roll Bar D Bushes. This kit is also a 10 piece kit. Part Number : 698755. The close fit between these products adds genuine value to driving and parking by allowing motorists to use new functions. In this way, Valeo makes the very latest drive and park assistance technology on the market much more accessible. NISSAN NOTE E12 2012 1.2. HEATER BLOWER RESISTOR. PARCELS MUST BE INSPECTED BEFORE YOU SIGN FOR IT. ALSO OFFSHORE ISLES: SHETLAND ISLES, ISLE OF MAN, WESTERN ISLES, SCILLY ISLES, CHANNEL ISLES OR ANOTHER NOT ATTACHED TO MAINLAND UK. NISSAN PRIMASTAR 2001-2014. 2 Front Stabiliser Link Bars. 2 Front stabiliser link bars, 2 anti roll bar d bushes. 2 Front Anti Roll Bar D Bushes. This kit is also a 8 piece kit. All international parcels will be boxed and very well secured. Marke: Hajus. Schreiben Sie uns eine Nachricht. Nissan Micra C (K12) 1.4 16V 1386 65 88 2005/08-2017/12 1329-ACO, 3144-AAA. Nissan Micra C (K12) 1.6 160 SR 1598 81 110 2005/08-2017/12 1329-ACP, 3144-AAB. NISSAN MICRA K12 MODEL 2002-2010 MODELS. NEW HEATER BLOWER FAN MOTOR. NEW PART 12 MONTHS WARRANTY. AIR CON TYPE. FOR THE WITH A/C MODELS ONLY. _gsrx_vers_841 (GS 7.0.16 (841)). Per ulteriori informazioni non esitate a contattarci Vendiamo solo pezzi di ricambio usati. i nostri prodotti. NISSAN PRIMASTAR 2001-2014. 2 Front Steel Lower Suspension Wishbone Arms Left & Right. You are purchasing 1 Left & 1 Right hand side steel front lower wishbone arms . This kit is also a 6 piece kit. All international parcels will be boxed and very well secured. Nissan Note (E11) 1,4 Griglia di Ventilazione Dx Ant. Bocchettone Aria Grigio. NISSAN NOTE (E11) 1,4 GRIGLIA DI VENTILAZIONE anteriore destra VENTILAZIONE UGELLO GRIGIO ARGENTO 68761. NISSAN NOTE (E11) 1.4. Part number F667217D. Vehicle manufacturer part number F667217D. Engine 1.6 Petrol. Parts manufacturer Nissan. the Right-hand traffic, steering wheel on the right side – England. Version for. Model Note. Nissan S13 180SX Air Conditioning Box. Specialising in used Nissan Parts for a wide variety of Nissans, including the Skylines, GTR and 200sx/Silvias. Interior Trim Seats Etc. This does not include Channel Islands, Northern Ireland and Scottish Highlands. TIE ROD AND STABILISER LINK. APEC WEAR INDICATOR, BRAKE PAD. Blue Print Filter Service Kits. DENSO SENSOR. 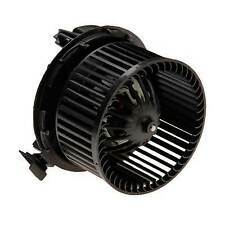 Fit with NISSAN NOTE Interior Blower 21-0041 1.5L. 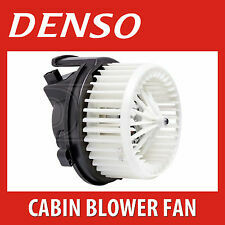 NISSAN NOTE Interior Blower 21-0041 1.5 ltr 01/06-onwards. HEATER MATRIX. NISSAN LEAF. Engine by NISSAN. We are also not responsible for installation errors, labor expenses, or any other expenses that may occur. Wheel size205/55R16. Paint code. SILVER- K23. 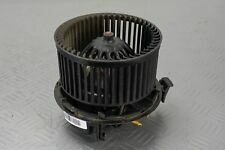 For Sale is a 2009 NISSAN GTR 3799cc Petrol Heater Motor/Assembly Blower Fan Assembly. Part Number: Not visible. Removed from a 2009 NISSAN GTR 2 Door Coupe with Air Con. Please see the item description for more information, you will receive everything you see in the images. Primastar (01-17). Trafic II (01-15). Heater Blower Fan Motor. All Models WITHOUT air conditioning. Vivaro A (01-14). Vauxhall / Opel.